Our Escorted tours in Croatia includes very unique touring of the highlights of Croatia’s most famous cities – Dubrovnik, Split, Zadar, Pula, Rovinj, Zagreb, and a memorable tour of National Parks: Plitvice Lakes waterfalls and Brijuni Islands, plus day trip to Croatian islands. You can also combine one of our land escorted tour with Croatian island cruising. This fascinating city, combines the best of Eastern and Western Europe and lies on routes between the Adriatic coast and Central Europe. Walk through streets of Lower Town and discover beautiful buildings of Habsburg era with ornate facades, squares and monuments. Take the ride with the smallest funicular in world to explore Upper Town medieval core of Zagreb. Visit St. Mark’s Church with extraordinary colorful roof and monumental masterpiece of the tallest Cathedral in Croatia with massive twin spires and 800-year-old treasury. Enjoy numerous museums and galleries and beautiful green oases in hart of the city. Visit Mirogoj cemetery with its beautiful architecture and one of the most beautiful gardens in Europe. Taste traditional culinary specialities and learn more about unique licitar heart..
Visit fairytale castles in Zagreb surrounding, baroque town Varazdin and Ljubljana- capital of Slovenia on our day trip from Zagreb. Explore Split living heart – Diocletian’s Palace, once the home of Roman Emperor Diocletian, a complex so huge it later became a fortified town. 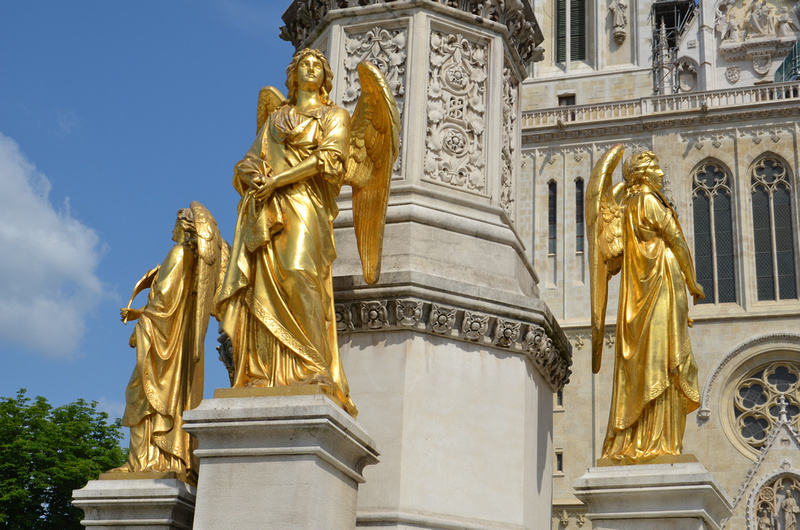 Visit the Silver Gate, the Cathedral, and the Bell Tower of St. Dominus. Discover the seaside promenade of Split, the lively open green market and the Marmont shopping street . Visit Split’s synagogue – the third-oldest synagogue in Europe that’s still in use. Enjoy evening in typical Dalmatian tavern and learn about unique Dalmatian sport activities Picigin and Briskula. Cruise with private yacht to islands Hvar, Vis, Brac .. and enjoy beautiful beaches and unique cultural treasure. Explore the narrow streets and historical buildings of fascinating Medieval town of Trogir. 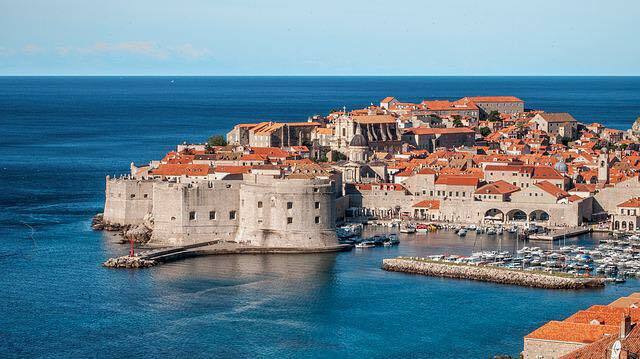 Enjoy the delightful city of Dubrovnik and walk along its ancient city walls, stroll the Stradun and enjoy the sightseeing tour of the Rector’s Palace, Bell Tower Clock, Orlando’s Column and the Sponza Palace. Visit the Dominican and Franciscan Monasteries and learn about the oldest pharmacy in the world. Relax in Renaissance gardens in beautiful Arboretum and take a yacht cruise to Elaphite Islands, National Park Mljet and Korcula island – the birth place of Marko Polo. Jump in to the cable car and have magnificent view to the Old Town and fairytale island Lokrum. Enjoy the green oasis with many medieval hill villages, vineyards, olive groves and picturesque seaside towns. Taste the truffles from the famous Motovun forest while enjoying the unique Istrian wines. 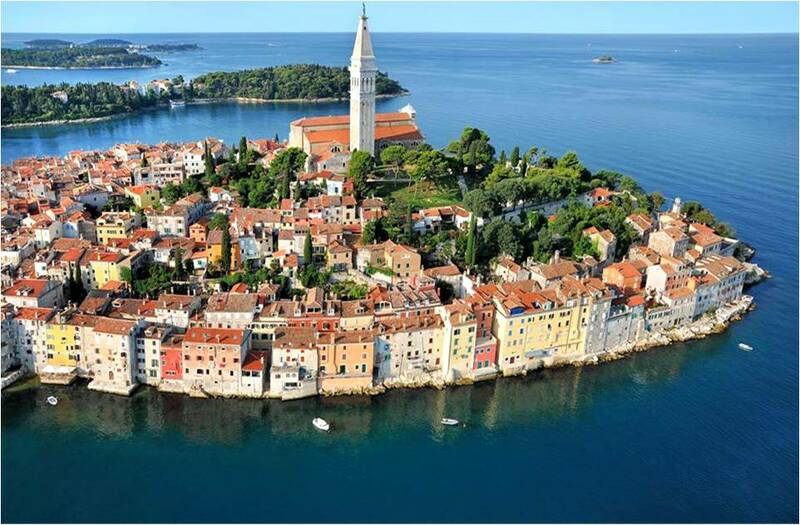 Visit Rovinj – one of the most picturesque towns in the Mediterranean with its pastel-colored houses. Explore Euphrasian Basilica in Porec – the best examples of early Byzantine architecture in the Mediterranean famous for the most amazing and UNESCO heritage mosaics. Marvel the amphitheater Pula – the sixth largest surviving Roman arena in world. Visit Opatija , first resort of the Austro Hungarian Monarchy, and enjoy romantic walk on seaside promenade . Take a boat cruise to National Park Brioni Island or our day excursion to Venice. Contact one of our travel specialist to help you create unique escorted tour of Croatia or multi country tour throught Balkan and Europe.